HP is working on a new high-resolution headset for Microsoft’s Windows Mixed Reality platform. As first reported by Road to VR, the headset is codenamed “Copper” and will feature a resolution of 2160 x 2160 pixels per eye. This fidelity is markedly higher than the 1440 x 1440 pixels found in Microsoft’s current lineup of Windows Mixed Reality devices, 1080 x 1200 offered in the Oculus Rift and HTC Vive, or 1080 x 960 featured in the PlayStation VR. HP told Road to VR that the emphasis on increased resolution comes in direct response to consumer feedback. Additionally, HP said it focused on making the headset as comfortable as possible, although the company wouldn’t confirm specific details on weight. Based on images provided by Road to VR, Copper appears similar to the Oculus Rift, especially the straps on the side and over the head. 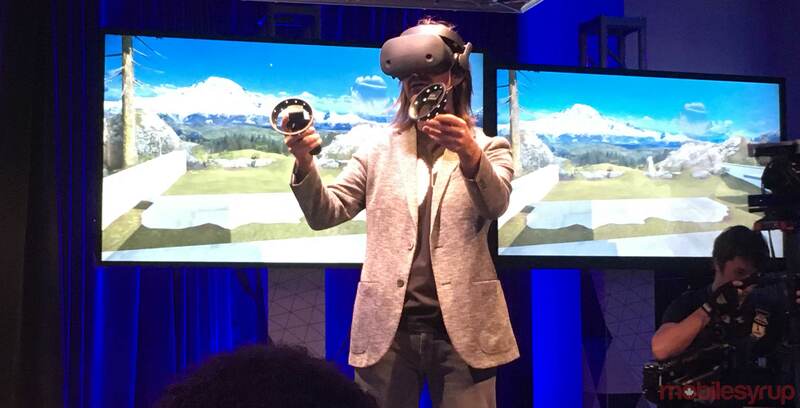 At the same time, Cooper seems to sport the same built-in tracking cameras as the other Windows Mixed Reality headset, which allow for easier setup. HP’s first Windows Mixed Reality headset launched in late 2017 alongside similar devices from Acer, Dell, Lenovo and Samsung. According to Road to VR, Copper will “eventually” replace HP’s currently Windows Mixed Reality headset, although the outlet was unable to confirm pricing or release information.